We all know how fundamental Microsoft Excel is in organizing and presenting information effectively. But every once in a while, even experienced Excel users run up against problems trying to gather or display those facts exactly the way they’d like. However, if you knew how to manipulate the programming language used to actually create Excel, you’d essentially be an Excel god, right? There’d be nothing holding you back from using the program your way. 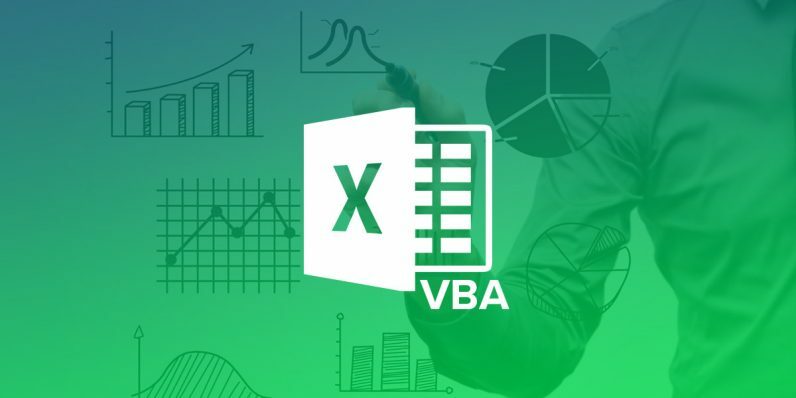 That programming language is known as VBA (Visual Basic for Applications) and right now, you can learn how to use VBA to become an Excel super-user with this Microsoft VBA bundle, on sale now for only $18 (87 percent off) with coupon code “GREEN40” from TNW Deals. With this two-course package, you’ll have all the firepower you need to make virtually anything happen with Excel. With Microsoft VBA, you’ll run through the basics of VBA and what it can do. Described as “Excel on steroids,” VBA will help you automate tasks in Excel, define and manage variables, set up subroutines and boost your data handling capabilities. Once you’re through the introductory stuff, Advanced VBA starts digging into how to start maneuvering VBA on a more granular level. The “grad school” tricks you’ll learn here include how to write and implement Excel events, how to design and roll out special object classes, customize the right-click menu with cell ranges, and more. All nine hours of this instruction will ultimately add an intriguing new line to your resume. Each course is also CPDUK accredited, which means you will be able to show verification that your training was certified and more than adequate to teach you everything there is to know about VBA. Separately, these courses would normally run you about $70 each, but for a limited time, you can get this bundle including both courses for almost 80 percent off — just $18 with coupon code: GREEN40.